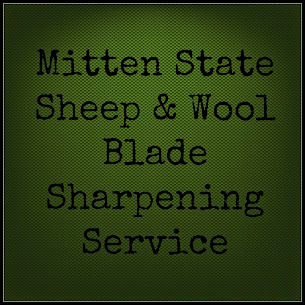 Mitten State Sheep & Wool : 2014 Fleeces, Washed! We have had a lot of rain this week, which is great for indoor projects. 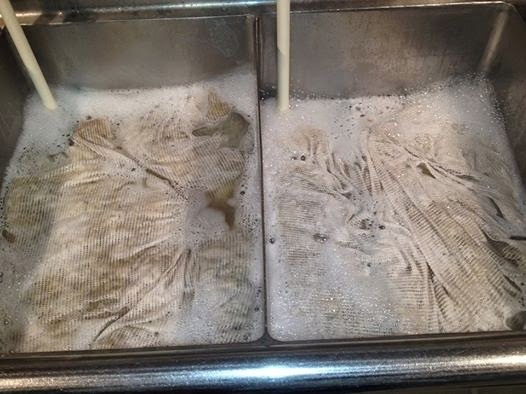 I am happy to say that all of the 2014 Fleeces are now washed. It was humid, so the fleeces were not drying very fast. I ran out of room, and had to set up some make-shift drying racks. I took over the barn, fleeces everywhere! Rainy days are good for chick flicks too, so it took some motivation to get me out there, but I am glad I did. Feels great to be able to check something off that, ever growing list. P.S. I have a new camera, and I am not sure what setting I had it on, the pictures looked almost wavy, if that makes sense. Time to read the manual! Do the tunis fleeces keep any of that lovely red color? Kelly, their wool is an ivory-cream coloring. Only their legs and heads are red. Tunis lambs are born with a red undercoat, but the wool comes in cream/ivory. They seem to almost glow with an inner light, just beautiful!